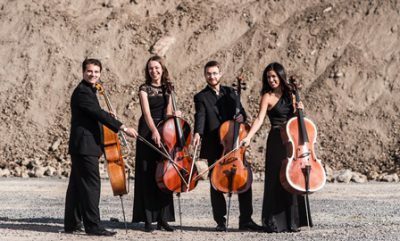 Founded in 2013, the ASSAI cello quartet was born out of an initiative from four symphoniaASSAI members to explore and expand their collaboration beyond the symphonic frame. Since then the quartet has been performing regularly in Belgium (Brussels, Antwerp, Hasselt, Peer, Voeren) as well as in Germany. A highlight in 2013 was the quartet’s residency at the International School of Brussels (ISB) as part of the school’s Visiting Artists and Scholars Program.